This review contains proofs that the Million Dollar Replicator of Michael Sachs is a scam. Sachs claims that his Million Dollar Replicator can make you financially free by generating you a regular and big income. The system achieves allegedly great results because it replicates the most lucrative opportunities on your account. What? And it costs $37. The definition of what Million Dollar Replicator does provided by Sachs is so vague that it is the first red flag you should see. Replicating the most lucrative opportunities on your account? What does it mean? In which industry? How can you replicate opportunities? There is just too much questions and no answers. Then you need to investigate just a little bit to see that Million Dollar Replicator is a total scam. Sachs is a fictitious person, scammers created him to put a face on their Million Dollar Replicator scam. As you can see on our picture, a stock photo was used to portray Sachs. Anyone can download this photo for free. 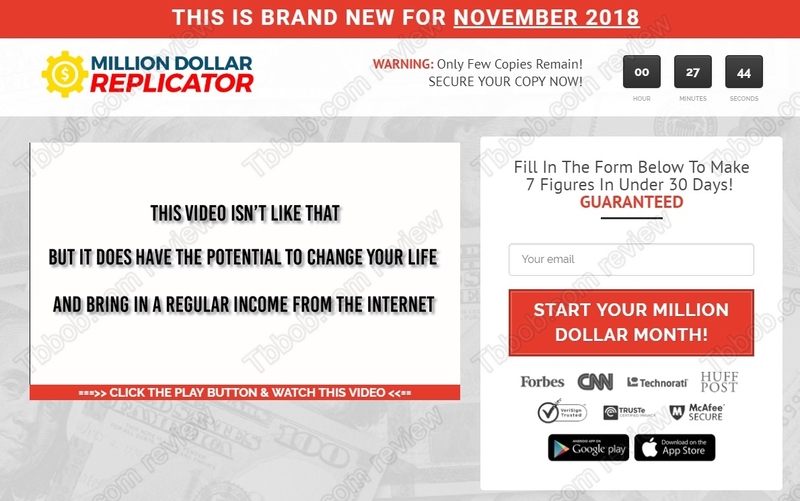 On the Million Dollar Replicator website you will find plenty of testimonials that are supposed to prove that the system really works and generates money. But again, they are fake. Check our picture that paid actors were used, anybody can hire this man on Fiverr for a fake testimonial. Million Dollar Replicator is a scam, a worthless product. People who sell it know that not everybody will ask for a refund, so they know they will keep some money even if they are selling a piece of crap. That’s how it works. Million Dollar Replicator is a scam that won’t earn you anything, stay away from it! If you are interested in real financial trading, try it on a free demo with a regulated broker, so that you don’t risk anything. There is no free money, you will have to build a profitable strategy and understand the risks before trading with real money.